The cost of your website is very dependent on what exactly you need your website to do for you. Depending on the main objective of your website, the price could drop or raise significantly. There is a large difference in the skill required to set up a fully functional ecommerce website that captures leads and converts them into paying customers versus a single landing page to generate your email list. Again, it depends on your specific project. Every website I design and develop is custom to your brand and business. If you have a specific deadline you need your website completed by, please let me know in advance! I am almost always able to accommodate your deadline. The very minimum time requirement is two weeks, assuming all content, copy, photos, logos, visual branding elements, hosting, and domain purchases are ready to go and completed in advance! You are free to choose whomever you feel is the best fit for your business. I specialize in wellness websites for wellpreneurs. Creating websites for this industry is my passion. Being able to support those in the industry is an honor, as I'm not a practitioner myself (yet!). I attended the School of Management at the University at Buffalo for Marketing, so not only are you getting a beautifully designed website, you're getting a functional, converting piece of real estate on the web to help build your business, and convert people into paying customers. I've done the research, and know what it takes to get people to click through, and sign up to work with you. 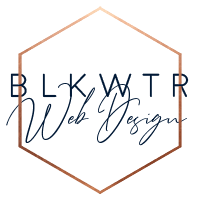 Not only do you get an amazing, custom tailored website for your business, you work with me, and me alone on your website design and development journey. I don't have a call center or customer service reps, so you won't get the run around about your project. You get my direct phone number and email, and you can get in touch with me at any time.